Just north of Himrod Junction in Youngstown, Ohio the Erie turned north and promptly crossed the New York Central's Youngstown-Ashtabula line at grade at Valley Street (VY) tower. The shabby condition of the now Penn Central tracks to the right is readily apparent; at this time the Erie Lackawanna was still making a go of it with a well-manicured main. Both railroads ran in parallel from here to Hubbard, Ohio where they split (although the New York Central had a branch serviing the steel mills that paralleled the Erie all the way to Sharon, Ohio). 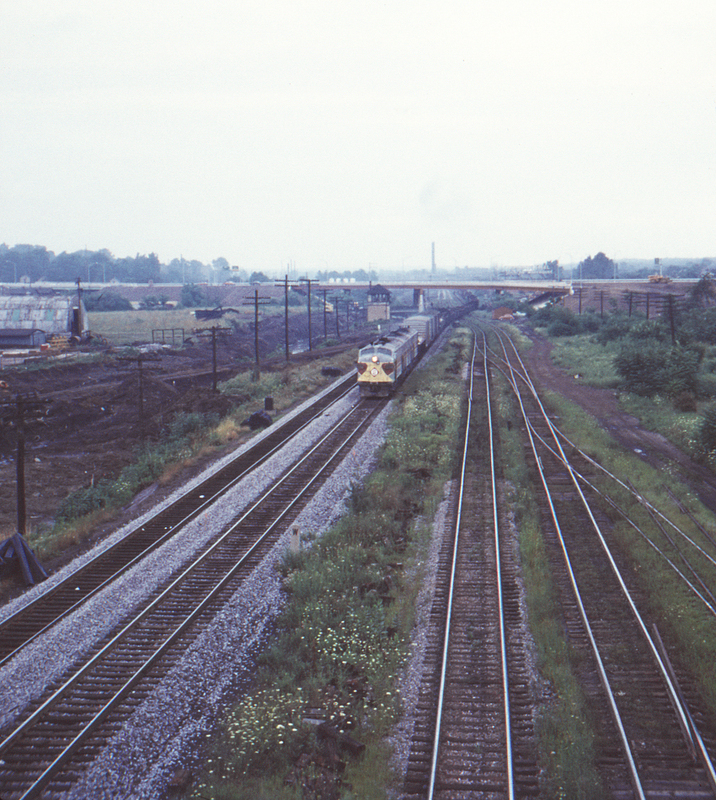 This view is looking north from the Oak Street Bridge; the train in the photo is southbound heading for Himrod Junction. The under-construction viaduct for the upgraded U.S. Highway 422 can be seen just past the tower.